home / Life is Travel! This bike tour is going up and down between Mt. 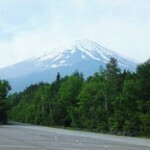 Fuji base and the 5th step along with Fuji Subaru Line. 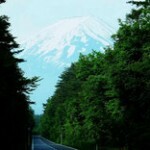 This road is selected as one of the Japan Best 100 Roads. 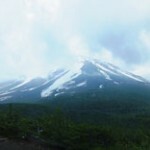 On the way, you can enjoy magnificent view of Mt. Fuji directly ahead, downward view of deep virgin forest and lakes on Mt. Fuji base, and far views of 3,000-meter-high Southern Japan Alps. Unlike travlers by car, you can stop your pedaling of E-bike and take some break for viewing at wherever you would like to stop. This is advantage of the bike tour. 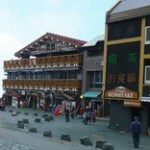 The last highlight is to go down from 2,300-meter-high point to 900-meter-high point if you would like not to pause on its way. Please fill in the below form, then send to us. Note 1: Japan Rail Pass is not applicable for this bus. If you make use of the pass, please take JR train to JR Otsuki Station from Tokyo. Note 2: From June 10 through August 31, 2015, all private cars and motor cycles except bikes cannot drive on the Subaru Line. 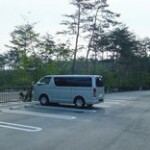 They request to leave all cars and motor cycles at Fuji Hokuroku Parking and to take public buses to the 5th station. 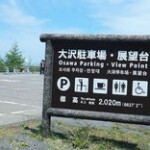 At Junakdai Parking area at 1,663m high, you finally can see downward Aokigahara virgin forest, Sai Lake, and Kawaguchi Lake after you have been on a deep forest road from the 1st station to the Jukaidai Parking. 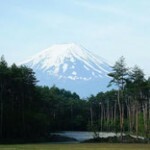 The forest type at higher than Jukaidai Parking to the 5th station, is changed to subalpine coniferous forest with Japanese larch and Tsuga diversifolia, which makes you feel different mountain. 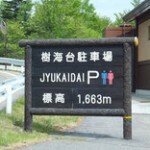 At Jukaidai Parking area or at higher point, you can have far view of Southern Japan Alps to western direction. When you stop your bike for viewing on the road side, please be careful for cars passing near you. 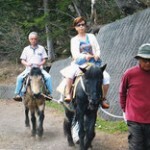 Since starting point to the next Osawa Parking area at around 2,000 meter high, it may take about 2 hours. 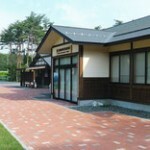 Soon after passing by the 4th station at 2,045 high, there is a parking area of Okuniwa Nature Park at 2,140 high. 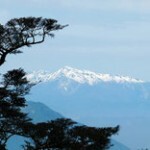 It is highly recommended to visit this park for who would like to enjoy trekking on the mountain trail. After walking down shortly from the parking area, there is a flat area, where you have step-stone trail. At observation area of the trail, both view of Mt. Fuji peaks ahead and far view from the high elevation should attract you. 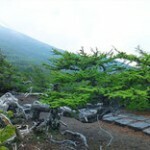 Along the trail, beauties of Japanese larch exposed to severe mountainous climate should impress you, too. It may take about an hour to walk around this trail in the park. 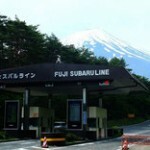 The 5th station of the last end of Fuji Subaru Line is crowed with people who are aiming to climb to higher level or just tourists to enjoy sightseeing around the 5th station area. 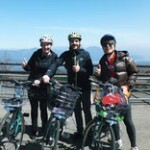 If you spend one hour for trekking in Okuniwa Nature Park, it may take about 4.5 hours from starting point to the 5th station by E-bike. 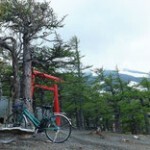 It is long way from the 5th station to the finishing point at Fuji Hokuroku Parking area, maybe an hour riding on downhill. When temperature is low, it is better to wear windbreaker or outfit for cold protection. It is danger to go down at high speed on downhill, so that, please keep speed at 20 to 30 km per hour by making use of regenerative brake of front wheel. If you have any questions or offer to book, please send a email. We welcome even tiny questions! Don’t hesitate, and see you Japan! !